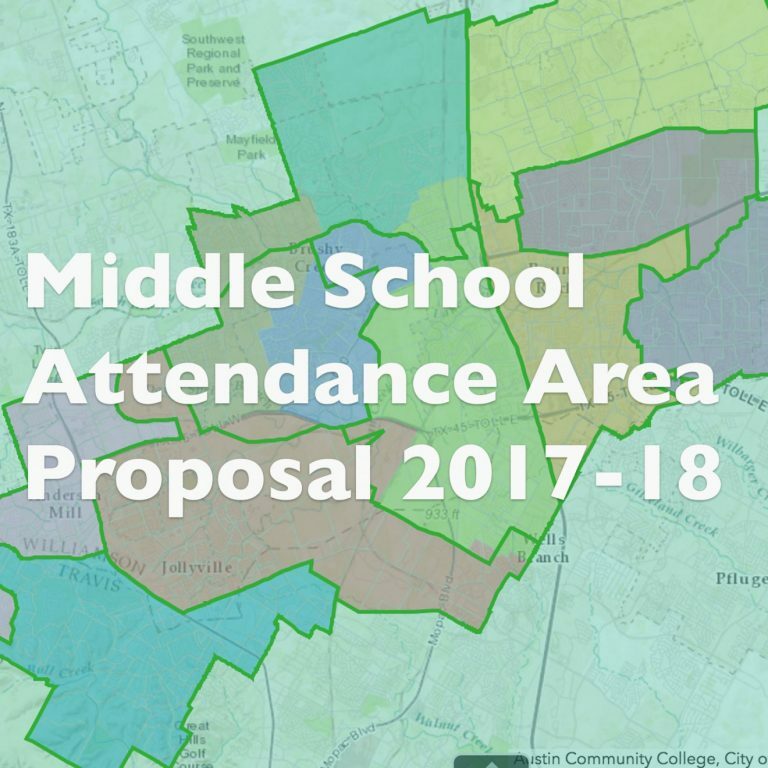 Round Rock ISD will present its updated middle school boundary proposal, including amendments following community input, at the Oct. 20 Board of Trustees regular meeting. The District’s goal in amending the proposal is to minimize demographic balance changes. The District presented the initial proposal at the September 15 Board of Trustees regular meeting in anticipation of the opening of Pearson Ranch Middle School in August 2017. A public review process was opened between September 16 through October 13. During the public review, the District held three public hearing meetings and fielded community input through emails and an online survey. In total, the District received input from 1,156 students, parents and community members during the public review process. Concerns centered on three main topics: the division of elementary schools and vertical alignment, safety, and hazardous routes and the demographic shift, specifically at Chisholm Trail. The District has amended the proposal to relieve Cedar Valley, Chisholm Trail and Walsh middle schools. The proposal will continue to align all of Fern Bluff Elementary School with Chisholm Trail Middle School and all of Old Town Elementary School with Walsh Middle School, which are changes from the initial proposal. There are no changes to current elementary or high school changes as part of this proposal. Families will continue to attend the schools they are currently assigned to for elementary and high school. The updated proposal aligns the Northwoods at Avery Ranch subdivision and apartment complexes around Parmer Lane East of US 183 to Pearson Ranch Middle School. Forest North Elementary School will also feed into Pearson Ranch. Joe Lee Johnson Elementary STEAM Academy and Wells Branch Arts Integration Academy will feed into Deerpark. The Board of Trustees will take action regarding the proposal at its November 17 regular meeting. Review the Oct. 20 Middle School Attendance Zone presentation on the Board of Trustees website. Visit https://goo.gl/1SzcR4 to download the PDF. View more information on the RRISD middle school attendance area change at roundrockisd.org/msattendancearea16/.